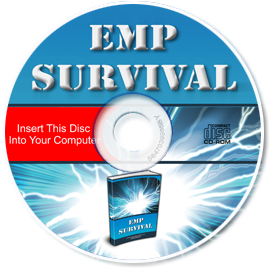 In Part One of this series, I looked at what an EMP is, and the 3 types of EMPs (Electro Magnetic Pulse). Now, I will look at the impact that they would have should we ever experience one. Before I begin, I want to note that it has been pointed out to me that there are some technical differences between a nuclear E3 pulse and a solar storm. However, the results to the power grid would be the same should either one hit. So for the sake of simplicity, I stated that a CME (Coronal Mass Ejection/Solar Storm) has E3 type characteristics, and referred to it as a solar EMP. Ok, now on to the “good stuff”. 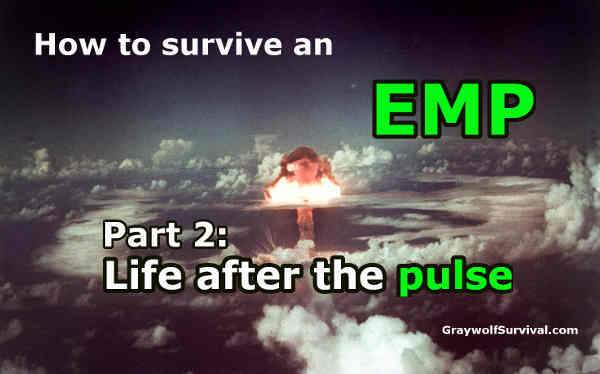 As I explained in the first part, a high altitude nuclear explosion or weaponized EMP would most likely contain all three types of pulses, where as a CME would only contain the characteristics of an E3 type pulse. The E1 component is a very brief but intense electromagnetic field that can quickly induce very high voltages in electrical conductors. The E1 component causes most of its damage by causing electrical breakdown voltages to be exceeded. This could potentially damage anything with electrical microchips, and other sensitive electronic equipment we all use every day. The E3 component will geomagnetically induce currents in long electrical conductors, which can then damage or destroy components such as power line transformers and burn out power grid transformers by inducing DC-like currents. What this means is, the E1 pulse of a nuclear EMP has the potential to damage electronic equipment, computers, communication equipment, etc. It COULD be damaging to vehicles and aircraft, but I’ll get into that more in bit. The E3 type pulse would primarily affect the power grid, and is not likely to harm things like cell phones, computers, or vehicles unless they were directly connected to the power grid. If the CME was large enough, it could induce geomagnetic currents that could destroy a substantial fraction of the very largest transformers on the power grid (possibly over much of the world in a solar EMP). So what does this all mean? It depends upon which event is happening and the magitude of the event. So what happens to us when the next large CME hits? Basically, a large solar storm (think Carrington event or larger) could knock out the power grid. Where and how much it takes out would depend upon the size and strength of the storm. It would NOT take out your electronic equipment. Your cell phones and computers would most likely work…until they ran out of battery power, or unless they were directly connected to the power grid. 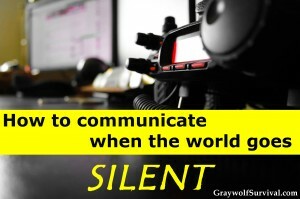 Keep in mind that while your cell phone or Ipad would still function, the communication systems would go down. So services that your Iphone and laptop are used for, ie the internet and cell coverage, would most likely be out. With no power grid, there would be no way to get more gas. Oil refineries need electricity to produce gas. Gas stations need electricity to work the pumps for you to put gas in your car. No gas = no way to ship food across our country. No way to even mass produce food to feed the 300 million plus people inside the US. Anyway, I hope you see where I am going with this. Everyone would have a very bad day all at the same time. The US has about 2100 electrical transformers, with about 370 (rough estimate) of those as high voltage (HV) transformers. Until about a year or two ago, no company in the US made these transformers. Today there are just two. Building just one could take weeks. Replacing one could easily take a month or more. HV transformers would take even longer. Compounding this problem, these transformers are NOT one size fits all. The rule of thumb is that for every 13 transformers, there are 10 different designs. Also, these different transformers are designed to handle different amounts of electric currents based upon where they are located. So you have multiple types of transformers that handle multiple types of currents. And most are not interchangable. See the complexity this causes? Now let me mention all of the problems that transporting these transformers would pose. (The whole no fuel thing.) Rail might still be available, but many areas where there are transformers are not accessible by rail. So this is another logistical nightmare. The instantaneous shutdown of the power grid would occur primarily because of the widespread use of solid-state SCADAs (supervisory control and data acquisition devices) in the power grid. These would be destroyed by the E1 pulse, but could probably be replaced within several weeks. The greater problem would be in re-starting the power grid. (No procedures have ever been developed for a “black start” of the entire power grid. Starting a large power generating station actually requires electricity.) The greatest problem would be the loss of many critical large power transformers due to geomagnetically induced currents, for which no replacements could be obtained for at least a few years. Basically, it boils down to this: should the US lose a substantial portion of its grid, it could be years; even a decade for power to be fully restored. Again, I hope you know how to produce your own food. What about more likely scenarios? Ok, let’s stop thinking worst case scenario for a minute. There are so many OTHER possibilities. What if a CME takes out the eastern seaboard, but not the rest of the country? (Or if you live on the east coast, say it hits the west coast.) It would obviously impact you differently than if you were in the middle of it. Our grid is divided into four interconnections and 8 regional sections. It is possible that a CME/E3 pulse could take out some but not all of the grid in the US. 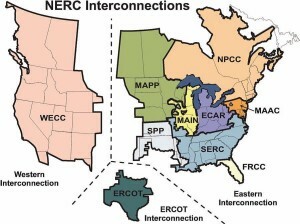 The four NERC Interconnections, and the eight NERC Regional Reliability Councils. Or say that a CME doesn’t hit the US, but instead wipes out Europe or Asia? We still have our TVs, freezers, and gas stations. But what sort of impact does that have on the global economy? I’m not an economist, but I promise you it would have a big impact on us. 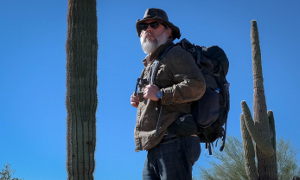 Graywolf wrote some exceptional articles on the dangers of planning for worst case scenarios only and not knowing what will happen if SHTF. Both would apply in this situation. A nuclear EMP, would have a very similar effect as a solar storm as far as an E3 pulse. But as I said above, nukes also have an E1 pulse as well. And telling you about the effects of those are well, a bit of a problem. Why? Because we have not had a nuclear EMP test since 1962. The Soviet test 184 was the last one. The world has changed MUCH in the last fifty years. And it continues to change all the time. Scientists have tried to simulate what would happen using computer models, but the hard data they have to base their calculations on is from the last high altitude nuclear EMP… in 1962. And of course much of that data, and the resulting computer simulations and theories are highly classified. Unfortunately, there isn’t a lot of data available to the general public on what all might be effected by an E1 pulse. For example, scientists are not sure if airplanes would be able to stay in the air after said pulse. Many newer planes use computers in almost all aspects of flight. Even some older planes that don’t use computers for basic flight controls still require electronics to assist with things such as the hydraulics. Now imagine what a 50,000 volt (or more) EMP could do. As for automobiles, I’m sorry to disappoint you, but we simply do not know….we can only take an educated guess. Why just a guess? Because there are too many variables and unknowns to know with certainty. Things such as the strength of the E1 pulse, the altitude and angle of the detonation from your vehicle, the current strength of the Earth’s ionosphere at your location (it fluctuates), the direction your vehicle was facing in relation to the denotation, etc all factor into the equation. Was your car parked and shut off? Was it running? Was it in a garage? Was that garage metal or was it concrete? All of these questions could play a factor. As mentioned previously, the last nuclear EMP test was in 1962 and the details released have been minimal. And while EMP simulations on automobiles have been done, they were poorly conducted. The U.S. EMP Commission tested a number of cars and trucks. Although this was the most comprehensive set of tests on vehicles that has been done, those tests were very poorly done because the Commission was financially responsible for the vehicles, but did not have the funding to pay for any of the vehicles they tested. The vehicles were borrowed from other government agencies (most vehicles came from the Department of Defense); and the vehicles had to be returned to those lending agencies in good condition. Those vehicles were tested up to the level that some sort of upset occurred, then further testing was stopped on that vehicle. So only the bare minimum amount of damage was done to the vehicles during the test. No worst case scenario … not even “typical” case scenario. That shouldn’t inspire confidence in anyone. Keep in mind a few other things about this test. The newest vehicle to be tested at that time was a 2003 model. Vehicles have significantly changed since then. Also, it is widely believed within the scientific community (though not proven) that several nations have the ability to produce EMP weapons AT LEAST 4 to 5 times greater strengths than the test limits of the simulator. For those of you with a 1960’s model truck/car who think it won’t be affected because it doesn’t have the complex electric systems of today’s autos, not so fast! Scientists point out the fact that the Soviet EMP tests burned out many military grade diesel generators that did not have the solid state electronics. In addition, newly unclassified reports state that some of the vehicles in Hawaii at the time of the Star Fish Prime test had their non-electronic ignition systems damaged by the EMP. I’m not saying older model vehicles won’t work after an E1 pulse, rather that we cannot be 100% certain they will. Even if the nuke EMP doesn’t kill the electronics in all vehicles, there still would be problems. The first problem is the ability to obtain fuel. No electricity means no refineries and no pumps. And even if you stockpile fuel, in optimal conditions, gas won’t keep from more than 6 months, 1 year max. Then it degrades so much it becomes muck. Next is the traffic problems caused by those cars that did die. Even if an E1 affected only 10% of vehicles, imagine that one out of every ten cars on the road right now suddenly stopped. The congestion, crashes, and chaos would be enormous. A third problem is the fact that as vehicles die or run out of fuel, those remaining that are drivable suddenly increase in value exponentially. You now have something that a lot of other people want and need. Having the “only horse” in a “one horse town” kinda puts a target on your back. As for your electronics, chances are a lot of them would be destroyed. But without any sort of actual tests, scientists do not know the full extent that the damage would cause. The more current simulations and some theories on this remain highly classified as I mentioned previously. Could an EMP physically harm me? I have a friend whose wife is a neurologist. I asked her about the affects an EMP would have on the human body. She explained that electricity is different when it comes to the human body. Neurons carry their signals chemically. They do not use currents like your appliances. She got very technical, which after a while made my head hurt. But basically, the E1 pulse could NOT directly hurt someone physically except in a very specific set of circumstances. Scientists are beginning to study the correlation of solar storms to migraines and disrupted sleep cycles. But basically, if we were to experience an EMP/CME, the direct physical harm to our bodies would be negligible. You would have much BIGGER problems to worry about. We do not know the extent of the damage a nuclear EMP would cause. It has been over 50 years since the last actual tests, and most of the data and simulator tests remain classified. So what can you do to be prepared for this? Well, that depends upon a lot of different variables. There are really too many “what-ifs” to give you a step by step guide. Hence there are no clear cut answers. 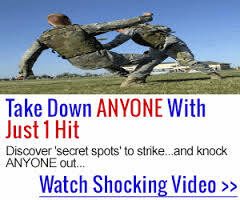 But in Part III, we will look at some general things you can do to try and be prepared should we ever experience an EMP. This CME/EMP issue is a very difficult one to pin down. Not only are a lot of tests still classified, there haven’t been a lot of tests. Luckily, the non-DoD government is starting to take notice – but just barely. Here is a copy of the Report of the commission to assess the threat to the united states from electromagnetic pulse (EMP) attack that you can download and read for yourself: Report of the commission to assess the threat to the united states from electromagnetic pulse (EMP) attack. I know I’m jumping the gun here but I wanted to give you a takeaway on some things you can do now and what you should start looking into doing. There will be much more to come. As you know, being prepared is what we’re all about. Knowing the facts of what can and can’t happen is the foundation of being prepared. 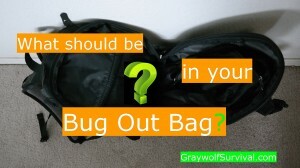 The majority of what you should do to be prepared for a widespread CME or EMP attack is the same as pretty much everything else: store water and food for short periods of disaster and have a sustainable water and food supply for long hauls, learn how to protect yourself and your family/home, make friends with others in your area so you can work together, learn basic survival skills that can be transferred to any situation, and have a good communications plan to make sure you can get back in touch with your family if normal communications go down. There are come critical items that you might want to consider putting critical items such as a ham radio in Faraday bag things get real bad. In some cases this will be very effective. In others, it won’t matter what you do. Just make sure that if you’re going to go through all the trouble of protecting your equipment that you do it right and use effective shielding – and do your homework on what effective shielding is. James will be going into much more detail on this in the next article, and this may turn out to be more than one article because it’s not a simple idea. Months before publication, One Second After has already been cited on the floor of Congress as a book all Americans should read, a book already being discussed in the corridors of the Pentagon as a truly realistic look at a weapon and its awesome power to destroy the entire United States, literally within one second. It is a weapon that the Wall Street Journal warns could shatter America. In the tradition of On the Beach, Fail Safe and Testament, this book, set in a typical American town, is a dire warning of what might be our future…and our end. 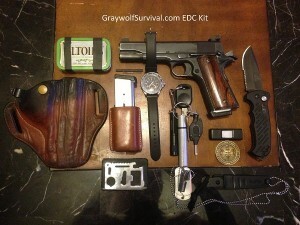 A police officer in Oklahoma, James is a gun enthusiast and certified police instructor. In his off time, he is a single father who enjoys playing with his kids and watching football. I red the book a couple years back and have taken several steps to protect my family. I try to stay current on what new products have been introduced and look for the old and trusted. Ironically part 2 of this series comes out just as we have a one two CME punch incoming. Neither is expected to be a Carrington event or anything, but it’s a timely reminder that this stuff can and will happen eventually. Solar storm apparently heading our way. Maybe I am jumping the gun and this will be in part 3, but are there any applications or notification groups that send out information about upcoming CME events, and things of that nature? I found the Space Weather Prediction Center’s website has a 3 day forecast (http://www.swpc.noaa.gov/Data/index.html#alerts), etc. 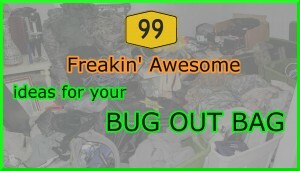 but I don’t realistically see myself checking their site daily. I have an app for my phone that alerts me when there is a tornado warning, etc in my area. I was hoping someone might have something similar for space weather events. Thanks for your input and for the info. Unfortunately, predicting solar weather is a lot like predicting weather here on Earth. After maybe a 3 to 5 day forecast, it becomes more guesses than anything. NASA has multiple satellites, like SOHO, which monitor the Sun 24 hours a day. They have have two other satellites in Earth’s orbit but several months behind which help trianglate the solar weather. The Sun has an 11 year cycle, of high and low activity. Right now, we are at a peak of high activity. But that does not always mean anything. The Carrington event happened on the downward activity cycle. And although we are at a peak right now, it is one of the lowest “high peaks” we have experienced. Oops….meant to add this link. It helps explain the cycles. Quite welcome. I’m glad I did this because I learned so much. And more importantly, I learned about what all we DON’T know. It’s also kinda scary how exposed our power grid really is, and the fact that it could be protected if the power companies really wanted to. This stuff is preventable. 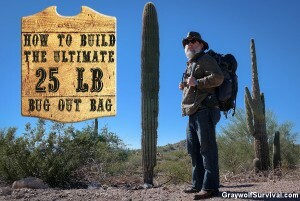 James and Greywolf, thank you for putting together an informative series of articles and links. I’m and electrical engineer specializing in RF circuit design. Many EMP articles conflate E1, E2, and E3 pulses and don’t provide many clues on how one would deal with them. However, in the end they’re electromagnetic energy at power levels not normally experienced except near a lightning strike. The main difference between E1 and lightning is pulse rise time is much faster so there is more energy in the HF and VHF region where relatively short wires are efficient antennas. My gut feel is that the Engine Control Module in cars is robust enough to handle lightning, but the car wiring harness will pick up more energy from an E1 pulse. It would be a good idea to have one in storage and wrapping the spare in aluminum foil before putting it on the shelf is probably more than adequate protection. There will be disruption when EMP occurs. The question is how resilient and resourceful people will be in working around the problems. For example, the guys who used a car battery, an automotive fuel pump, and rubber hose to access stored gasoline at gas stations when Hurricane Sandy disrupted electric power to the pumps. Will people improvise or will they riot? Both, I believe. Most people aren’t very creative or knowledgeable in electronics or even just thinking outside the box, but I don’t think that the world would turn into The Road by any means. It may be chaos for a short while but there are always enterprising and charismatic people to take the helm and start rebuilding with whatever’s available. I watched the events unfold after hurricane Katrina, as the looting and lawlessness played out on national TV. Assaults, rapes, murders. People had no idea what to do. We saw the worst in society. After the tornadoes took out Moore, Oklahoma last year, my department sent me there to help. Officers from all over the state arrived to help. And not just police. Medical personnel, firefighters etc. arrived by the hundreds. But more importantly, ordinary citizens poured in to help. Local businesses donated hundreds of thousands of dollars’ worth of supplies. I watched an entire state pull together. The BIG differences between the two, is that those who went to help after the tornadoes knew their families were ok. I’m a single, full-time dad with a teen-age son. But I knew he was fine. I was able to do my job with no worry about him or the rest of my family. Also, those that volunteered, for the most part, tended to be short timers. After a day or two, people left to go back home. They had jobs and families to attend to. For those emergency workers in New Orleans, that wasn’t true. People got upset when police, medical, and fire left to go protect to their families. But can you blame them? Anyone who says that their number one priority isn’t to their family needs to reevaluate their life. Order wasn’t restored in New Orleans until people from outside the affected area (whose families were ok) arrived to help. I tend to believe that if an EMP/CME hits a large enough area, it might start off like Moore, but would then break down like New Orleans. As more and more emergency personnel (and people who provide important services) leave to go protect their families, people will be left to fend for themselves. There might not be people from outside the affected area arriving to help. The scramble for dwindling resources would escalate. Once folks realize this, watch out. Police, national guard, etc., also went door to door seizing (illegally) firearms that residents had. So much for protecting your home and family from looters. What will happen to all the nuclear power plants? I see chaos resulting from those. Radiation related cancers will kill more people in less than 10 years than any other EMP related disaster. In fifty (50) years, there will be nobody alive.